The Carr Fire, which has burned 121,000 acres and left six people dead, is now considered the sixth most destructive fire in California history, according to the California Department of Forestry and Fire Protection, also known as Cal Fire. Forecasters said winds could be stronger Wednesday, around 20 mph to 30 mph, and high temperatures and low humidity don’t bode well for containing the blazes. “California can expect to see hot, dry and breezy conditions through the end of the week,” CNN meteorologist Gene Norman said. The fire was still active in certain spots in the afternoon, but was not running toward communities, Cal Fire’s Steve Moore said. Incident Commander Brett Gouvea said weather was helping. “We are starting to see more successes than losses on this fire,” Gouvea said. 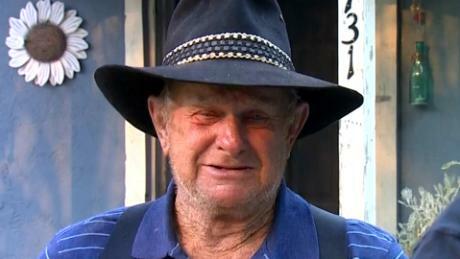 Redding police said everyone reported missing in Shasta County had been found. The Shasta County Sheriff’s Office said it took 60 missing persons reports in the early days of the fire. “It was a firestorm when we left,” Lister said. The Redding Police Department has made “many, many arrests” in connection with looting, Chief Roger Moore said Wednesday. Seventeen burglaries have been reported in evacuated neighborhoods. More than 4,000 fire personnel are battling the flames, but triple-digit heat, shifting winds, dry fuel and steep terrain are working against them, officials said. Roughly 15,000 residents have been evacuated. The flames were sparked July 23 by the mechanical failure of a vehicle, Cal Fire said. Since then, it has destroyed more than 1,018 homes. Highway 299 remains closed in fire-affected areas as crews clear debris. 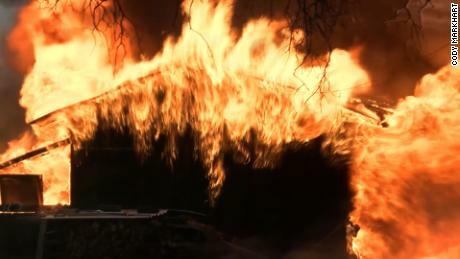 Two people have been killed in the fire, but no houses have been damaged or destroyed, fire officials said — although about 2,800 structures are threatened. Unlike the Carr Fire, authorities don’t know what started the Ferguson Fire, which has now engulfed nearly 63,000 acres. 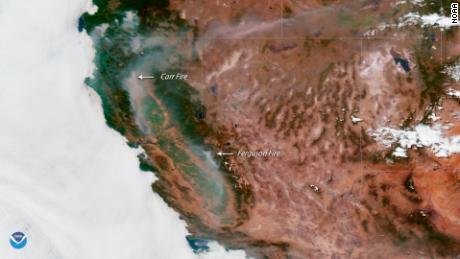 The Ranch and River fires, collectively called the Mendocino Complex, are blazing in and near the southeast corner of the Mendocino National Forest, northwest of Sacramento. 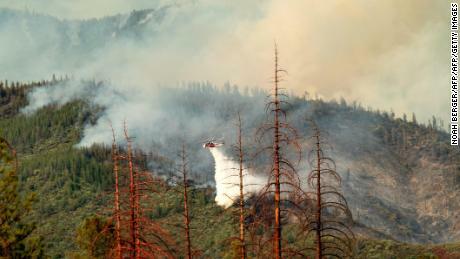 Together the fires have burned nearly 95,000 acres and are 24% contained. Cal Fire spokesman Jonathan Cox said the intensity of this summer’s wildfires is historic. “What we’re seeing in California right now is more destructive, larger fires burning at rates that we have historically never seen,” he said. California Gov. Jerry Brown said Wednesday that fires have become the new normal in California due in large part to the changing weather. CNN’s Amanda Watts, Judson Jones, Cheri Mossburg, AJ Willingham, Brandon Miller and Darran Simon contributed to this report.